@bsolute Cleaning: Is Your Upholstery Really As Clean As It Look? Is Your Upholstery Really As Clean As It Look? 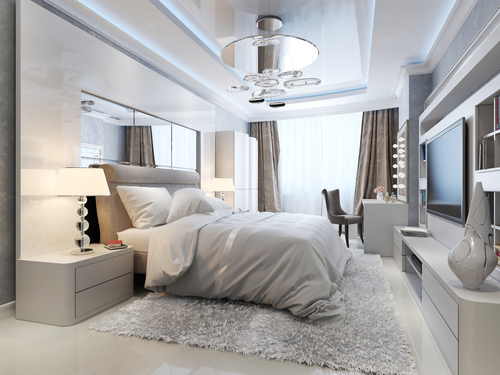 Furniture could turn any room into an attractive and comfortable space. Even when you think that your upholstery is clean, it might not be true. While it could seem that they're completely fine by looking at them, there is a high possibility that dust and bacteria have started to accumulate. It's very important to take good care of your furniture. It could certainly affect your health and you'll be able to enjoy staying at your house even more. It is very common for people who have families and pets to encounter problems at home. This is because children love to explore and run around. They don't care much about cleanliness. On the other hand, pets are a great addition to your home. However, there will always be instances where they can commit accidents. This means spilling food, having paw prints all over the couch, or scratches on a chair. It's important to make sure that your furniture is always clean. It will be for your own benefit. Other people and your pets living with you will also be affected in a positive way when you keep your upholstery clean. 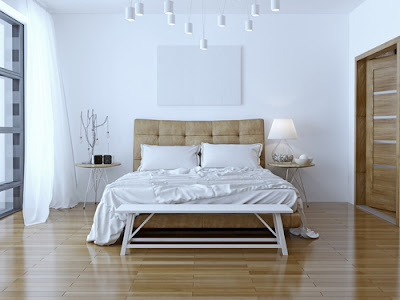 It wouldn't take much effort on your part to ensure that your furniture is in good condition. There are simple steps you can make to avoid getting them damaged. One of the most basic ones is reducing fabric trading by avoiding light. All you need to do is to make sure that your textiles are not placed on direct sunlight. You can easily control the amount of light coming in by using draperies, shades and blinds. To avoid having permanent stains from spillage, you can put a few paper towels or a small towel beneath the seat cushion. Let's discuss some helpful tips to ensure that your upholstery is truly clean from the inside out. The best way to maintain and clean upholstery is to use a vacuum frequently. It is very effective in preventing stains, dirt and dust from getting into the fibers of your furniture. By doing this, you'll be assured that they will look good as new. Before vacuuming it's essential to do some checks to ensure that the process will be done smoothly. Always check for weak spots in the fabric. On these areas, you have to go slow and not apply too much heat since it could damage the material. Loose buttons, debris and threads could potentially clog up the vacuum. When you notice that there are loose threads or buttons, you have to cut them out before proceeding. Only use a soft brush which is attached to the vacuum. 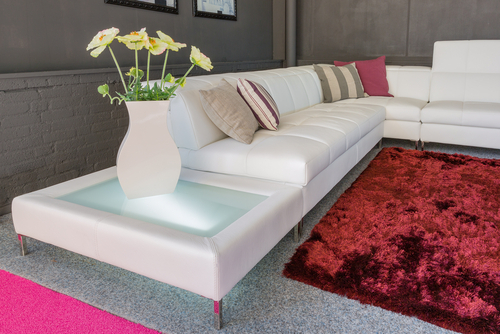 Keep it as clean as possible to make sure that you're not transferring any debris to your upholstery. No matter how much effort you put into keeping your upholstered furniture clean, accidents are inevitable. Even if you do a daily cleanup, there is still a possibility for spillage, dust or debris. You can make sure that everything is well maintained by spot cleaning. The moment an accident happens on your furniture, you have to clean it immediately. For any spillage, use a clean and dry towel and use a light hand in rubbing it off. Use gentle strokes until the spot has been cleaned completely. Most of the time, this method will effectively remove stains. However, there will be instances where using a towel will not work. Depending on your upholstered furniture's material, you may need to use a solvent based or water based cleaning agent. Whichever one you choose, make sure that it has mild ingredients which are not harmful to your furniture. Use a soft brush for your vacuum to work the solution into the fibers. Research has proven that direct sunlight or too much UV rays could damage your upholstery. It causes the fabric to fade and sometimes it could even start fraying. To make sure that you'll get the best use out of your furniture, always make sure that it's not placed under direct sunlight. Sometimes, you might not have enough space to keep them out of the sun. However, if they are exposed for an extended period of time they will surely get damaged. Most of the time, this happens in extremely delicate fabrics. One more factor which affects your upholstery is pollutants from the air. This could be in the form of fumes which comes from cooking or any type of smoke. They are also known to be harmful to fabrics in furniture. Many people are not aware on how they could avoid this from happening. The main solution to this problem is proper ventilation. It will be not only be a great help in terms of odor control, it could also absorb the odor so that it doesn't damage your upholstered furniture. These are only some of the most basic tips which you can incorporate in your household. They are very easy to follow but they have great advantages to your upholstery. It only requires you to spend some of your time to properly vacuum everything. By doing so, it will prolong the lifespan of your furniture. Turning the cushions is a great practice. It has been highly suggested by experts countless times because it's really effective. It has to be done periodically to ensure that your cushions are in its best shape. Spot Cleaning should be done depending on certain circumstances. The faster you can clean it up, there's a higher chance that it wouldn't produce permanent stains and damages. Finally, avoiding direct sunlight and pollutants is very easy. You just have to be aware of the proper placement of your furniture. Ensure that you have the correct ventilation inside your house. Keeping your upholstery clean is not difficult. The only thing needed is the awareness and knowledge about how to maintain them.